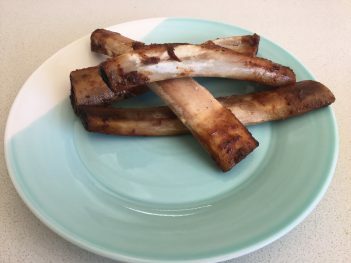 If you’ve tried our Creations Texas BBQ Ribs you’ll know that they are big meaty hunks of deliciousness and that when you’ve finished eating them you’re left with big juicy beef rib bones. 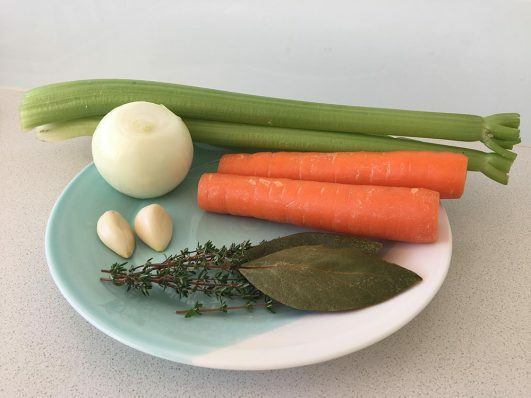 Don’t throw these out – they can be used to make a hearty beef stock which you can use to make soups or as a base for risotto. 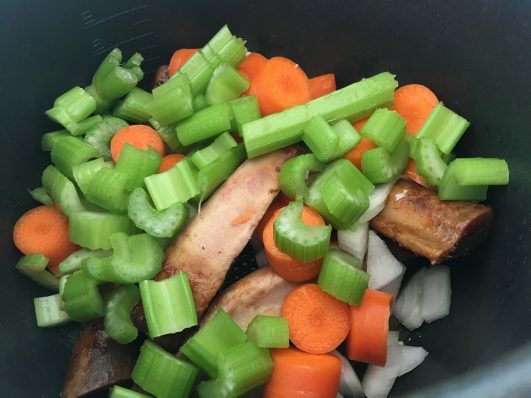 Chop all the veggies and place in slow cooker. Add the vinegar and water and slow cook on low for 6-8 hours. 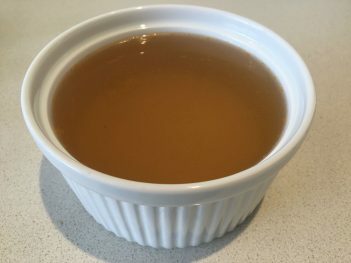 When done, strain through a fine sieve or muslin and discard veggies and herbs. Use straight away or freeze. 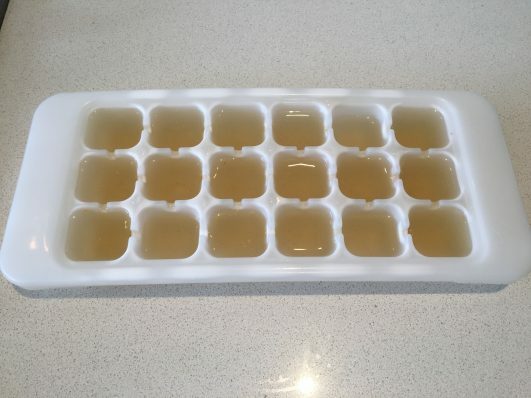 Top Tip: freeze in ice cube trays for easier portioning and storage.